Jennifer Russo brings nearly 20 years of experience leading teams to achieve financial and strategic objectives in healthcare organizations. She currently is the healthcare segment leader at SiriusDecisions, working with clients in the HIT, Device/Diagnostics, Payer, Bio/Tech, Life Science, and Provider sectors. Her focus is helping clients leverage SiriusDecisions’ frameworks and best practices, considering the complexities of the healthcare space. 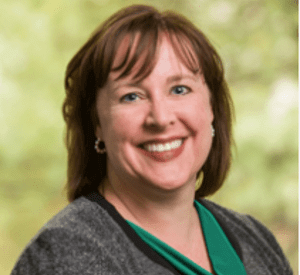 Prior to joining SiriusDecisions, Jennifer held senior marketing and business line management roles at several leading healthcare organizations. She was PDR Network’s senior business strategist for the product portfolio in electronic health records (EHRs), where she designed and executed the transformation of the Physicians’ Desk Reference into digital channels. In addition, Jennifer previously served as senior director of marketing strategy for Medco, where she led the company’s b-to-b and consumer launch of the Medicare Part D plan in 2006. Jennifer holds a BA in Russian language and literature from Northwestern University, an MA from Columbia University and an MBA from Indiana University South Bend.